IN002. 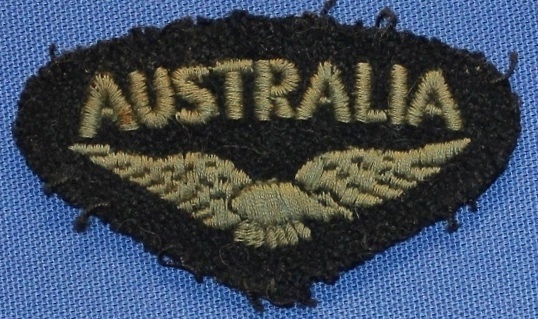 A WW2 drab shoulder title for wear within Australia, it is attached by press studs. IN002. Rear view of title showing press studs. IN032. 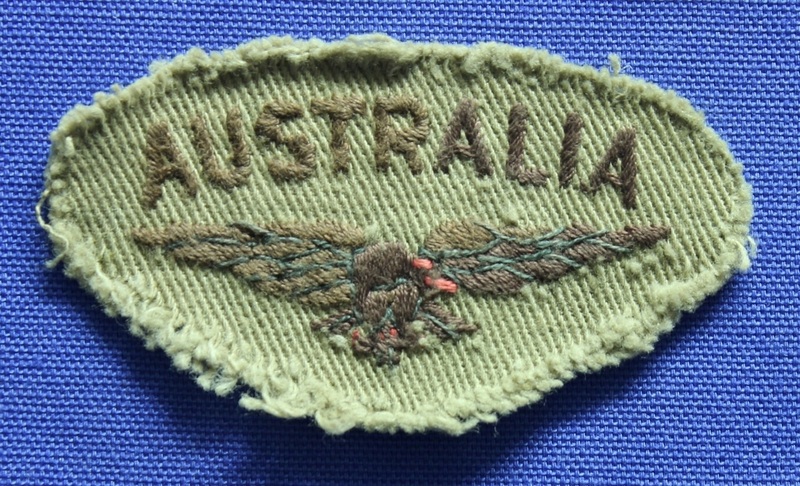 A WW2 drab shoulder title for wear outside Australia. IN1130. 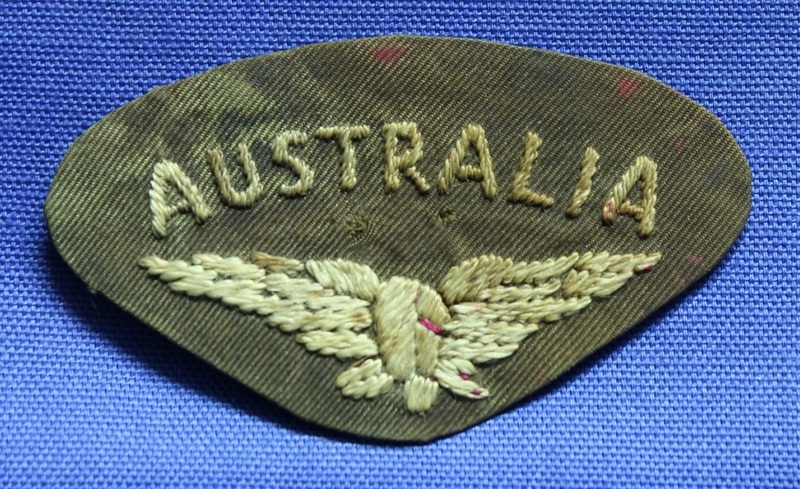 A WW2 drab shoulder title for wear outside Australia. IN302. An officers shoulder title for wear overseas. IN969. An officers shoulder title for wear overseas. IN1134. An officers shoulder title for wear overseas. IN1601. An officers shoulder title for wear overseas. IN1337. 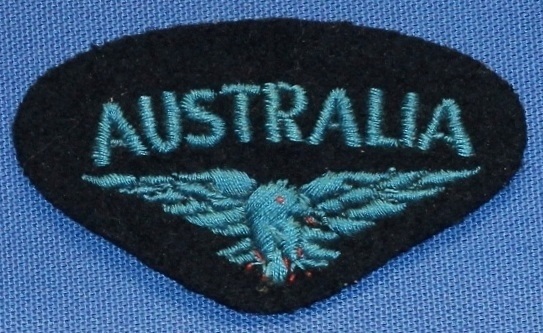 A WW2 shoulder title for wear within Australia. IN1437. 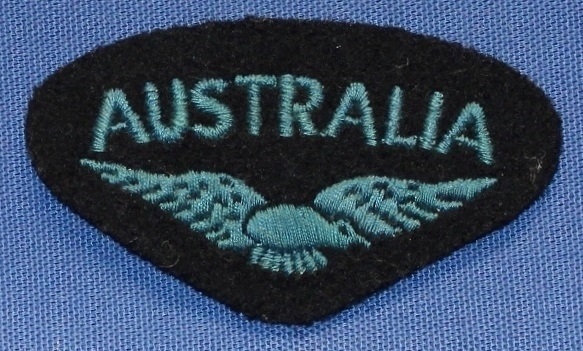 A WW2 shoulder title for wear within Australia. IN082. 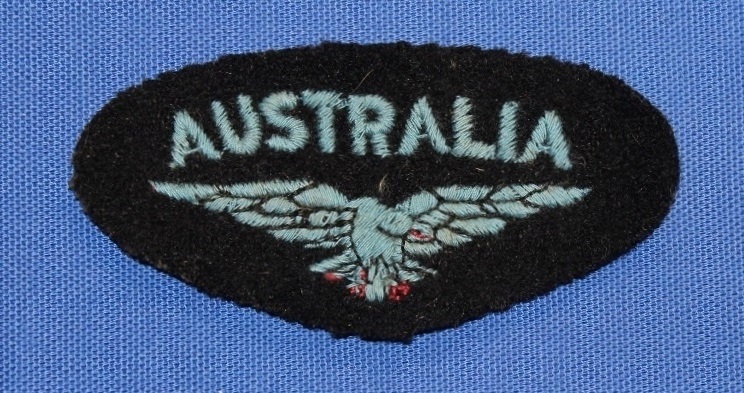 A WW2 shoulder title for wear outside Australia. IN1447. 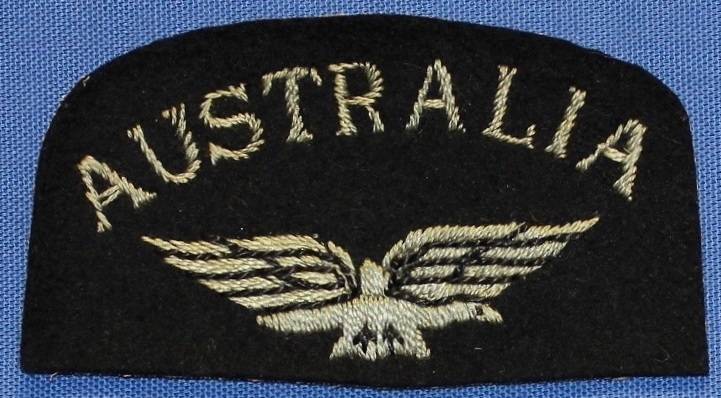 A WW2 shoulder title for wear outside Australia. IN935. 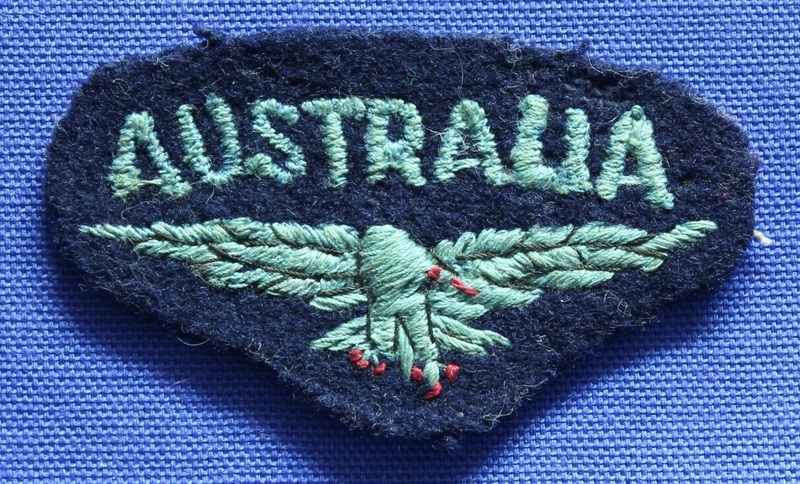 A WW2 shoulder title for wear outside Australia. IN1566. 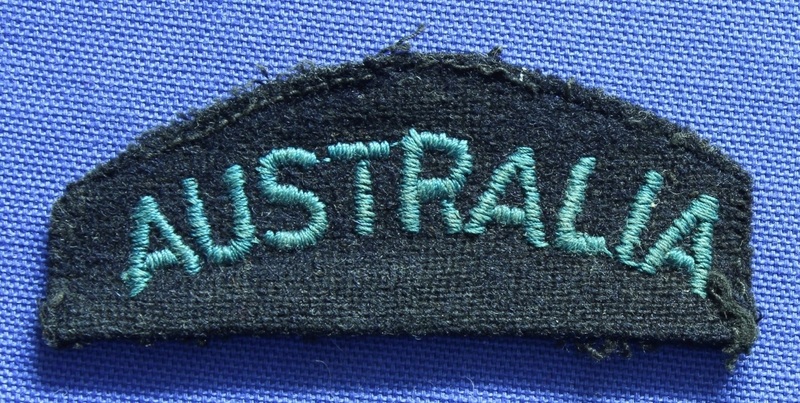 An overseas ranks shoulder title worn by 425688 Mark Stevens. IN1515. A Canadian made ranks shoulder title for wear overseas. IN1567. An officers overseas shoulder title worn by 425688 Mark Stevens. IN1139. An officers overseas shoulder title. IN1141. An officers overseas shoulder title cut from an airman's. IN1249. An officers overseas shoulder title. IN1602. An officers overseas shoulder title.